Perungudi is a city in Kancheepuram district in the Indian state of Tamil Nadu. 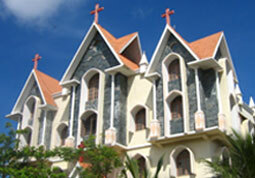 It is a suburb of Chennai, situated about 10 kilometres from the popular town centre of Adyar. It is bordered on two sides by the old Mahabalipuram Road and the Perungudi lake. The neighbouring areas include Kandhan Chavadi to the north, Thoraipakkam (also called Thuraipakkam) to the south, Palavakkam on the east side and a combination of natural landscapes, including the Perungudi lake, marshes(Pallikaranai), barren excavated lands, and paddy fields, on the western part. With a host of landmarks nearby, from IT parks to schools and hospitals, Nakshatra is present in a neighbourhood which is far from the chaos yet close to all necessities. A commercial/residential hub after the boom in the Indian IT industry. Perungudi has developed as an industrial estate in the 90's. Perungudi is a very nice location, near to market, CBSE schools, colleges, shopping complexs, retail shops, vegetable/fruit shops etc. Kamatchi Hospital, Balaji Dental College, Saraswathi hospital and schools like D.A.V, Sunshine and Bethel Matriculation School are highlights of the locality. Perungudi is a very excellent location. It is well connected by trains, buses and public transports. It is surrounded with vegetable markets, shops, hotels, hospitals, banks and super markets. 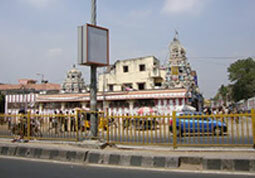 Perungudi is a very peaceful locality, well connected with the other parts of the city. It is well connected by trains, buses and public transports. Schools, banks, ATM's and hospitals are available nearby the locality. 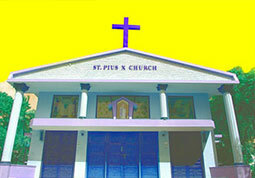 Perungudi is a prime residential locality. From being an industrial suburb, it has now become part of the IT hub of Chennai. The good news is that it is now part of the Chennai Corporation and plans are afoot to provide better water & drainage facilities. Perungudi is a very prime location in Chennai. It is well connected by trains, buses and public transports. Calm residential area. Vegetable markets, shops, hotels, hospitals, banks, super markets are available in this locality. Perungudi is the well known place of Chennai. It is a nice location which is close to Adayar and Thiruvanmiyur. All basic facilities like schools, colleges, hospitals are nearby. Road connectivity is also good at this location.